Well, if you've found this, you undoubtedly know about the game Settlers of Catan. This is my rendition of the game. This game plays with the exact same rules, set up, and strategies as the original. HOWEVER, there are NO cards (everything is made from wood. There are tokens instead of cards (for your resources) and the Development cards are cut from wood. The box is segmented, to fit all the pieces, and is made from Oak. The board is hinged to the box as the lid. There are 2 special wooden cards for longest road and biggest Army. There are 6 price cards also made from wood. 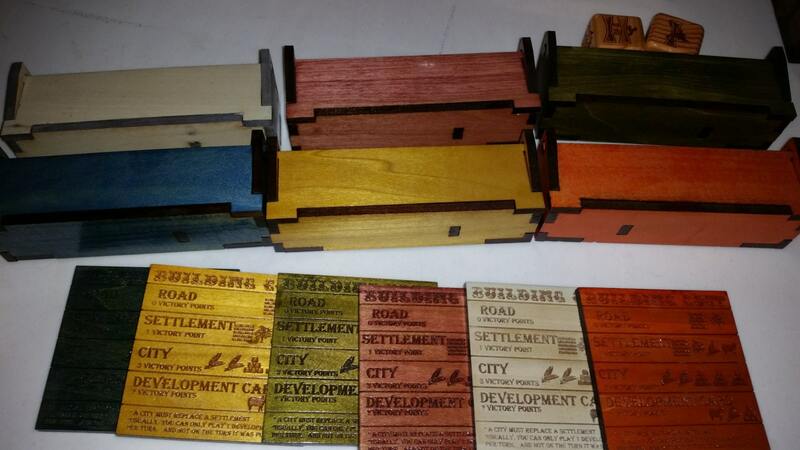 There are 6 color keyed boxes which hold all the buildings and roads, and during game play the development cards, price cards and special cards. 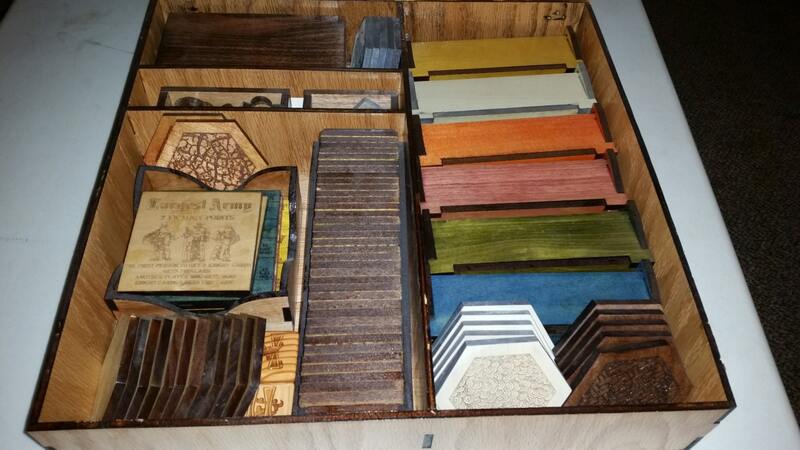 These boxes, roads, and houses are all dyed wood in 6 different colors. 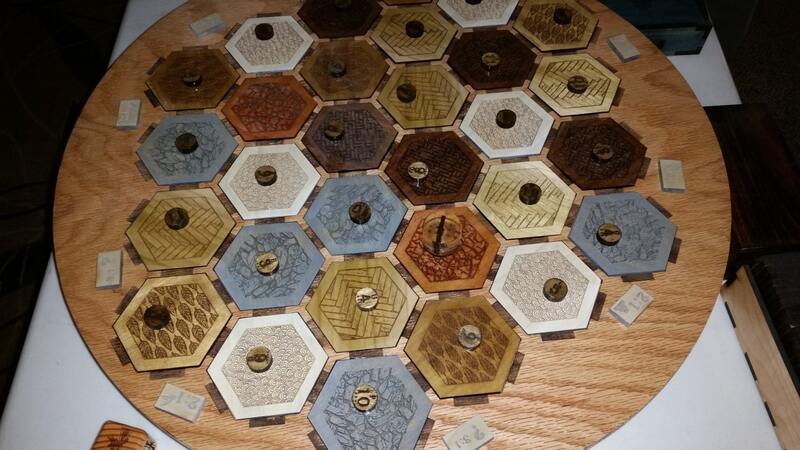 There are 4 full sets of roads, outposts, and towns made from dyed wood. 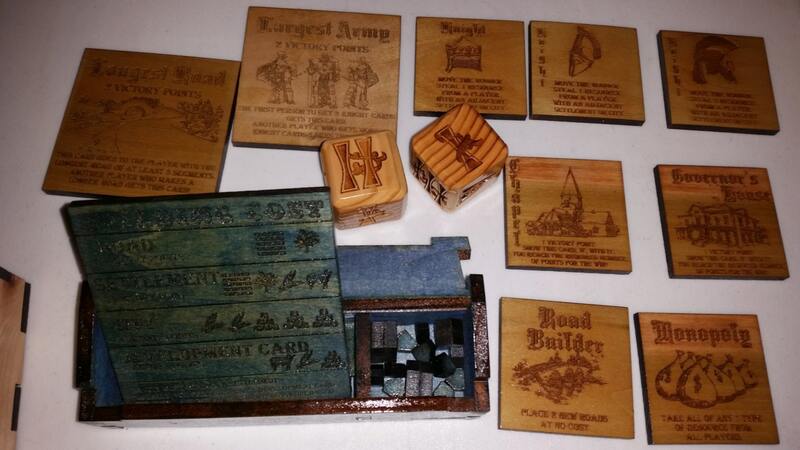 The resources in this version of the game are tokens instead of cards, and are laser engraved, and stained the same color as their corresponding tiles. 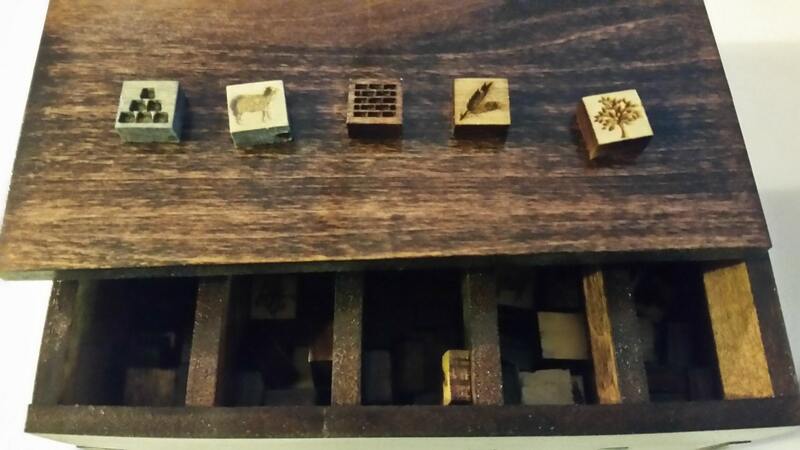 There is a segmented box to hold all five of the different resources. There is a full set of 30 different tiles. And there is the Bandit (outlaw.) He is a laser cut gunslinger, made from Walnut, on a cherry. This board took me almost 40 hours just to design, and making it is about 3 weeks worth of work, but it is truly an amazing game, and beautifully rendered with the theme throughout. Use your imagination, and send me a message, and I can see what I we can come up with.